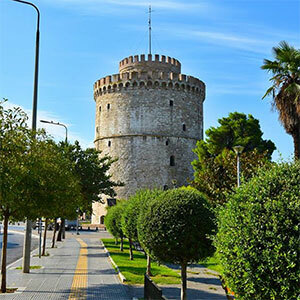 The idea for the foundation of a Byzantine Museum was to create the home of the Byzantine culture in the area of Macedonia and in particular to Thessaloniki, keeping the culture alive while offering the possibility to students and the society to research and study on the topic. In the museum there are sculptures, frescoes, mosaics, icons, metalwork, coins, wall paintings glassware, pottery and inscriptions from the Byzantine times. 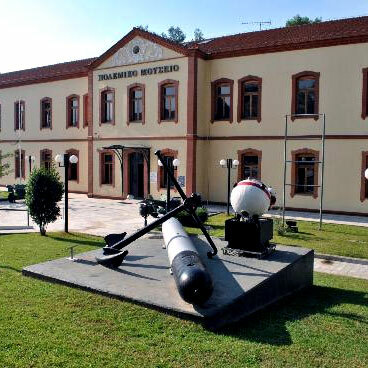 It has permanent exhibitions, rooms for temporary thematic exhibitions, conservation workshops, and storage rooms. Today, three permanent exhibitions are open, presenting the society and the art of the Early Christian period (4th–7th centuries AD) emphasizing on the transition from the ancient world to Christianity. The topic of the first exhibition is “Early Christian Churches” and the design and decoration of Christian churches in the first centuries. The second exhibition is Early Christian Cities and Houses presenting the economic life, domestic handicrafts, as well as details of food and clothing. The centre of the room is dominated by the reception room of a house with a mosaic floor and very well preserved wall paintings. The third exhibition is called “From the Elysian Fields to the Christian Paradise, and it focuses on Early Christian cemeteries. 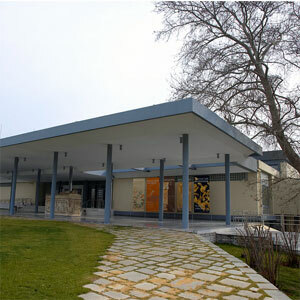 The fourth exhibition is called “‘From the Iconomachy to the Brilliance of the Macedonians and the Komninos’ Dynasty. It presents the Iconomachy, architecture, painting, sculpture, ceramics, lead seals and coins in mid-Byzantine churches, monasteries and the Christianize of the Slavs by the Thessalonians brothers, the monks Cyrillus and Methodius. Future exhibitions will present the dynasties of the Byzantine emperors in chronological order from Heraclios (610-641) to the fall of Constantinople in 1453. In the ‘Byzantine Castle’ exhibits and information are used to show how the castle was organized and describe a picture of everyday life and production within and outside its walls.